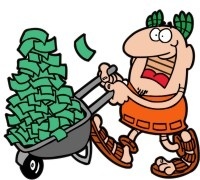 Zynga Watch: Poker Economy Fertilizer? Re: World Series of Farmville? Zynga’s stock may be continuing to tank, but I still tend to believe the company is likely to be a major player in the future of online gaming — if only because of the number of poker media with whom I regularly play Scramble with Friends. But while still reserving my right to make a complete 180 on the above assessment, I’ve been seeing some new pimpage lately (by the #1 purveyors of digital gaming for anyone age 13 or older) that suggests we may have been on to something when passing off a cheap joke about the convergence of online poker and virtual farming. What do you think? 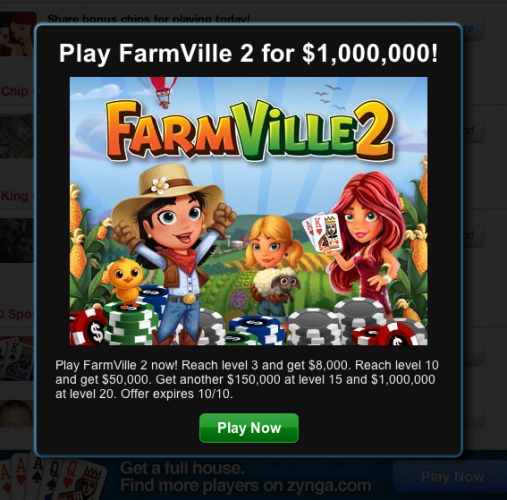 Is Zynga more interested in redistributing poker monies to Farmville in an effort to keep their once glorious game of agribusiness alive and well, or vice versa — more interested in using their newest Farmville release to grow a new generation of future gamblers real-money social gaming players? A few days after Las Vegas Sands Corp. disappointed investors with quarterly earnings declines that sent the company’s share price tumbling and had analysts breaking out in a cold sweat, Chairman and CEO Sheldon Adelson jetted to Israel to watch presumptive Republican presidential nominee Mitt Romney deliver a speech in Jerusalem. “It was a great speech. Loved it,” Adelson told Bloomberg News. In Israel, he was treated like a rock star. Adelson, 78, was swarmed by Israeli citizens, Romney donors, and the press as he slowly made his way to his wheelchair after the speech. Back in the U.S., Argus Research downgraded its view of Las Vegas Sands stock. The firm placed a Hold recommendation on the shares, a change from its previous Buy rating. The weaker outlook reflected Argus’ concerns that revenues and profits from Las Vegas Sands’ four Macau casino developments were in trouble. During the quarter, net income from Macau declined 40 percent. Argus said the Chinese economy seems to be slowing. Also, results from the first phase of the company’s $4.4 billion Sands Cotai Central were lower than expected. Don't call it a comeback, say analysts; been here for years! Not everyone is unhappy about the elimination of PokerStars and Full Tilt from the American online poker marketplace. Shares of Bwin/Party soared today on the London Stock Exchange, closing up nearly 35 percent on rather high trading volume. And while in some ways this graph looks like the inverse of Party Gaming’s graph in ’06 come the UIGEA and their subsequent, calculated US pullout. But zoom out and you’ll see today’s rise for Party (now officially Bwin.Party Digital Entertainment) is merely a token blip in their long-term efforts to get back atop the online gaming world. In fact, they had plummeted rather hard just this month as US legislative efforts began making it seem as if Stars and Tilt would be white-list operators in any future, regulated American online gaming economy. Meanwhile, Scarlet got her hands on some detailed equity research from the venerable banking institution Barclay’s … assessing the impact of of the US DOJ’s actions on the European gaming market. Good in some spots, not as promising as some might think in others. The “bull case” they make, interestingly, is a scenario where both Stars and Tilt end up in full collapse. Back in November, when I first learned about the WPT’s imminent sale to PartyGaming, I bought up as much WPTE stock as I could, assuming it would blow up, or at least be converted to Party stock in a highly profitable way. Much to my disappointment, when the new shares showed up in my online account, they were for Lipscomb’s new company, Ante4, which had no plans just a bunch of cash. They were trading at less than a dollar a share. Believing I had seen this repeatedly while chasing penny tech stocks in the late ’90s — almost always these companies available on the cheap gave me hope briefly before descending on an asymptotic curve towards zero — I quickly sold all I had just bought of ANTF and dumped it into PRTY.L. If only someone had told me to hold on to it! Now, just six months later, the new Lipscomb-Berman joint that I got (and got rid of) at 90something cents is trading at $3.44, for a YTD increase of 222 percent. Why do I think for all the grief I’ve given Steve Lipscomb over the years, he’s sitting in a very happy place right now, laughing … at me? Seriously, I can’t believe they let people gamble this way on the internet! But it’s just so hard not to with those cute baby ads making it seem like any kid with access to a computer and a credit card can do it! 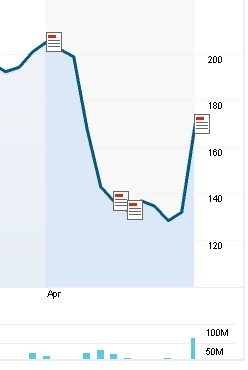 I have a feeling Party Gaming’s (PRTY.L) stock will go up sharply this morning. I dunno — total stocks donkey here — but I like what Obama had to say about the importance of generating revenue, and I suspect Canary Wharf (I think it’s also called The City?) will, too. Let’s see if I’m right. I’ll be checking it in the morning. Party stock opened today at 2.53 (and I started writing this post before the London bell rang). It’s at 2.60 now. Full disclosure: I own a teensy-eensie-weensie sliver of PartyGaming … I think I bought the company a few sleeves of coffee cups post-UIGEA. This post contains forward-thinking statements that are not my attempt at a pump-and-dump. UPDATE: Boo, Boo! C’mon, get up there! UPDATE: Closed at 2.59 … up about 2 percent. So I kinda win, but not really.